Wed March 21 - general, Thu March 22 - Tape Team, Sat March 24 - 4th Sat. Allen continues to put the rebuilt components back into the 729 frames - a slow process. The 1401 processor was down all day, with Ron Williams working on it. Just before we left at 4:00 it started working - for no obvious reason. This report is from Ron Williams, Ed Thelen was on "medical leave" until next week. Present Ron Williams, Allen Palmer, Tim Coslet. Mike Cheponis was in and out. Robert Garner was on "athletic leave", skiing with his wife. - doesn't seem to work when we first get in. Tim Coslet had his scope and in-circuit box and was working on cards. Their narrator was the only person "on camera". Our crew had to leave the room during "filming"
Mike Cheponis took stills and movies of the BBC visit. w Tim Coslet Tim says "I'd already finished tracking down the bad transistors by the time they arrived (8 leaky ones on one ADB card!) This is the worst ADB I've seen! Maybe next time I'll try replacing them (in small groups needed to get individual flip-flops working, until I hopefully get the whole card working). Mostly I was curious what was happening. Present were: Ron Williams, Allen Palmer, Frank King, Chuck Kantmann, Joe Preston (new guy), Robert Garner, Ed Thelen. Here is a 729 tape unit stack - fresh from Grant's shop - ain't that purdy :-))) Cleaned, polished. All new bearings, felts, magnetic powder, ... and the slip rings for one of the electromagnetic clutches :-)) Ready for another 40 years. Frank related the story of an IBM salesman who had a sorter jam during a demo. The salesman smoothly said "Look, the machine even found a bad card and destroyed it so it won't bother again." The savvy folks in the audience were so amused and amazed by the performance that they bought anyway - probably figuring any organization that was so clever and slick should be able to keep the machinery running. - Maybe our docents will need to have quick "work arounds"!! People who don't dig British humor, or don't watch re-runs of "Are You Being Served" should probably skip down to the next box. As you can see, the Executive Chair is clearly out of place - away from Captain Peacock's desk. Only those privilaged to have a key to the Executive Water Closet are entitled to use this chair. !! Allen has been worrying out loud about the magnets and/or snap switches which sense the position of the 729 tape unit capstans. There is about an inch of "runout" of the shaft of the capstan motor. When the motor is not running, a spring moves the motor rotor (and the capstan) back about an inch - so that the capstan is not near the tape during load and rewind. When the capstan motor is energized (turned on) the 3 phase armature iron become magnetized, and pulls the rotor into the field of the armature - just like a solenoid. The diagram to the right shows the Capstan Motor Assembly. 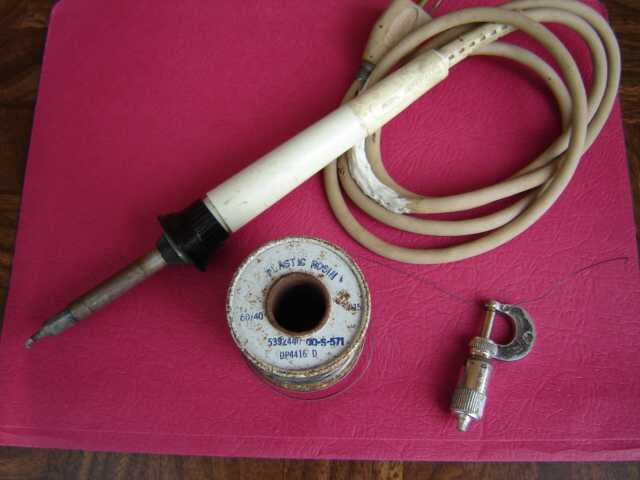 There are two of these magnet based sensors per capstan motor, one to sense capstan in drive position, one to sense capstan in retracted position. This is the "top" view - actually the bottom view as the large metal casting is on the top side, protecting the switches, levers, magnets from harm from above This is the "end" view - as viewed parallel to the axis of the Capstan Motor shaft. The magnet in the center senses the shaft in the withdrawn position. The magnet and Front Switch on the right sense the shaft in the forward/front position. - The hoped for new warehouse in Fremont, CA, and what is planned for it. Present were Ron Williams, Frank King, Bill Flora, Joe Preston, Chuck Kantmann, Robert Garner, Ed Thelen. Robert Garner and Ed Thelen presented/listened to plans for presenting the 1401 to future visitors to the museum exhibits staff. Although the 1401 was working fine today, Ron Williams, Bill Flora, Joe Preston looked for weak signals that might be plaguing us. Frank King looked for the source of jamming in the 083 sorter, and figured maybe the worn picker knives. We had a good look. 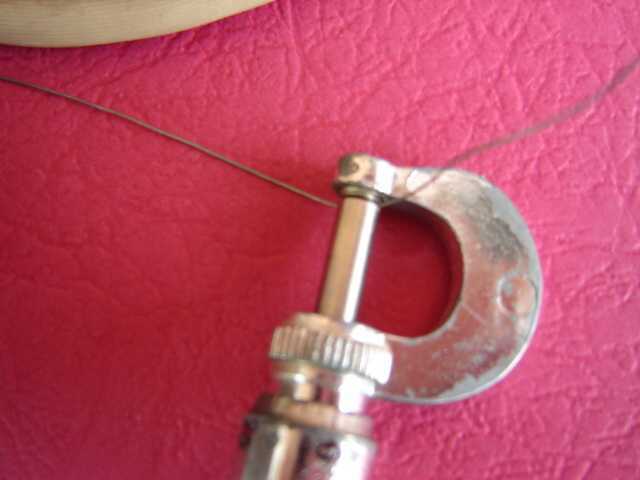 Clamped in a vise, preparing to look at it carefully :-)) That is a 0.004 " gauge. A closer look at the edge - You can see the boundary of the tungsten carbide insert, and the 0.004 " edge. I don't think it looks so bad?? That white thing on the right is a 0.0065 " IBM card edge. We have worn feed knifes on both the 1402 reader and the 083 sorter in the 1401 room. as well as misreading in the 083.
and the sharp 90 degree .00425 inch step required. before we try to have them machined. 1. 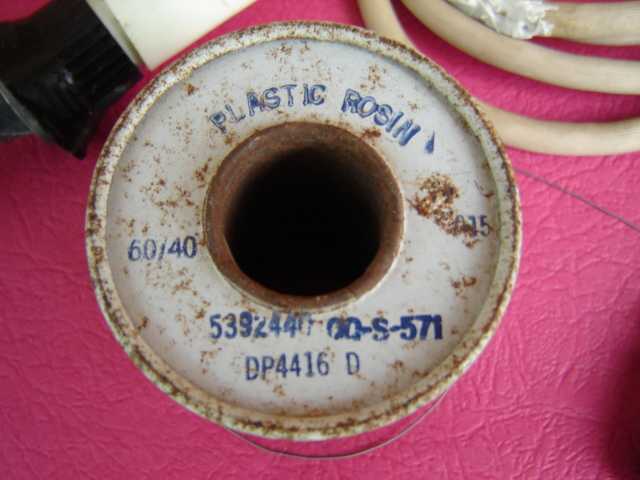 Have Robert Gardner check with his contact that has a lot of parts for IBM machines. 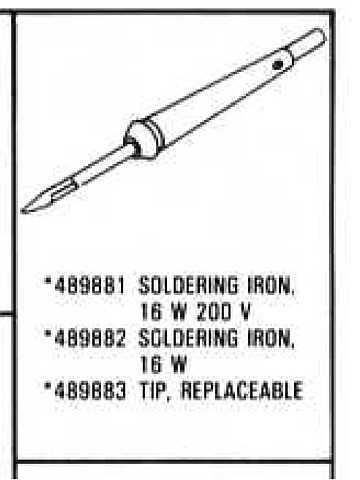 Two of the part numbers are 223082 (steel) and 603850 (plastic). I think that punch, reader and sorter are all interchangeable. 2. Ask Dag Spicer to allow us to interchange the knives with punch machines in storage. and would be much less prone to failure. Please let me know if you think of other alternatives. Robert, will you let me know if "your guy" has some of these. of diamond wheels and see if anything is worth trying on the carbide. lower overall knife height when they are reground? Please confirm or new knives will need to be made. and a service that can profile measure the worn ones. I stopped by the 1401 room today and see that you removed the sorter knives. If you would bring them to my shop next week M/T/W, I'll make some measurements. Let me know by email what works for you, shop phone 408 929 8413. Ron Williams is wondering if we should go to modern silicon transistors?? About my comments about Ge transistors. I initially tested several with a meter and got what looked like bad readings on many. junctions were slightly resistive instead of being "pure diodes" (which was probably what confused the meter). The new Ge transistors you have are perfectly fine! No need to go to Si. The  page of logic showing that was  missing. Details later in this massive message. 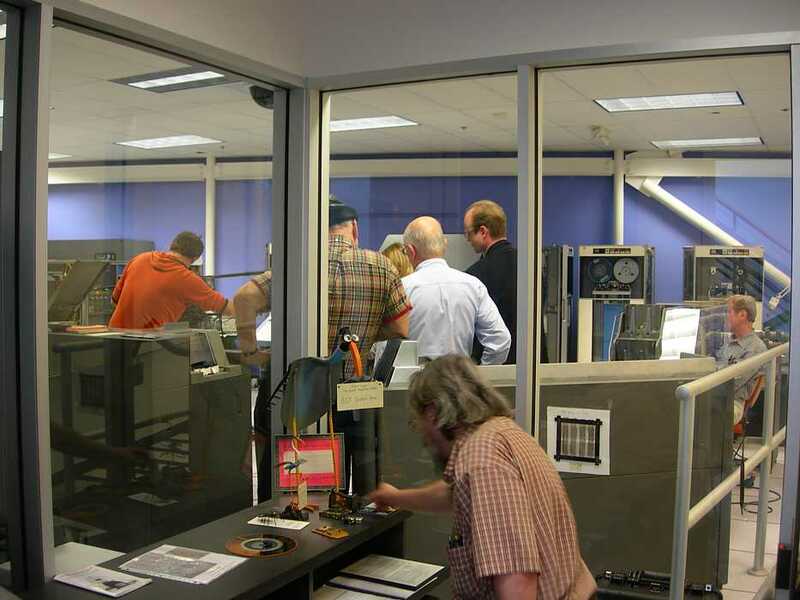 Allen Palmer and Glenn Lea continued re-assembling the other 4 tape drives. Allen took about 12 reference pictures. 1401 Customer Engineers were on the floor a lot!! Nature of the game. and reproduced it for the working copy schematics. 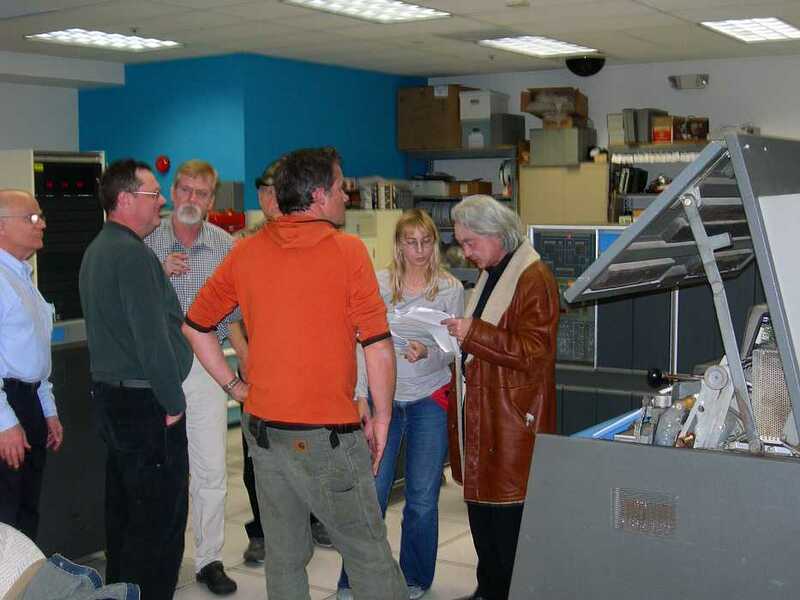 There was some discussion of new, weak germanium transistors (see Saturday Mar 24). There is the general feeling that using modern silicon transistors in  the SMS logic would be workable. may have been the cause of some of our unreliability. Doug Engelbart with Bob Erickson :-))   The core stack Bob is fixing is in the lower right of the picture. 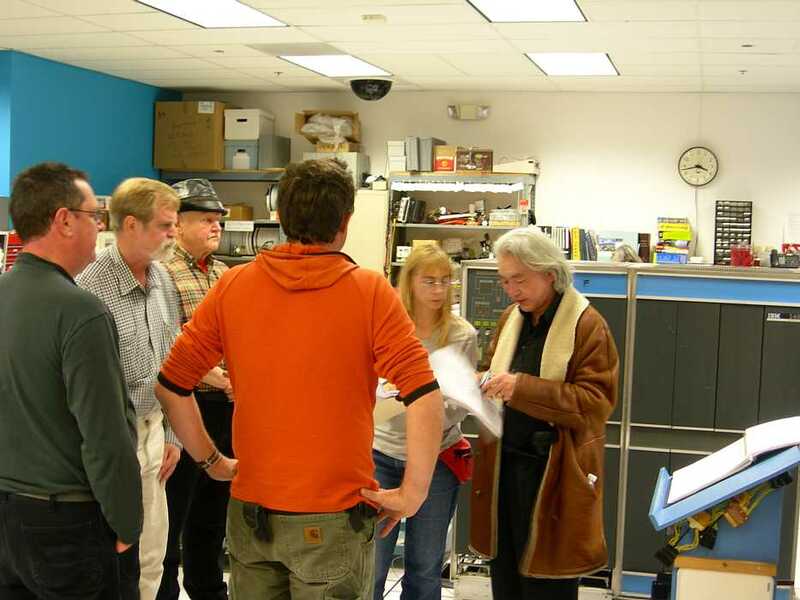 Doug Engelbart and Alan Kay (back to camera) signing autographs at door to 1401 room after visit. So - 85 year old Bob Erickson had just returned from a cruise and trip to Australia. He and Ed Thelen were chatting about it. - how about fixing the broken wire in the 1406 extended memory. A write inhibit line, going through all the cores in its own core plane. stack half select wire - :-(( - There are other problems in that core stack, see here. memory - you can buy  a gigabyte for $50 and use it as a bookmark !! Bob getting serious !! Did I mention Bob is a trained watch  maker and still uses his jeweler's lathe? Fortunately Bob had plenty of supervision - none of whom had ever even heard of a field repair of a core plane. Left to right are Ron Williams, Mike Cheponis, Bill Flora, Chuck Kantmann, Bob Erickson. He also brought some cores. back through the frame. If he stresses the near by core too hard, it will break, and there will be hell to pay! onto the terminal, thread the extension wire through the hole in the frame, and do some fancy soldering!! Bob is wrapping an already stripped and trimmed #33 wire around terminal #5, for wire #4, preparatory for soldering. Another moment of truth - scraping/stripping the enamel off of the #33 half select wire. you can also cut the wire making the next attempt even tougher!! Soldering is complete. Ron Williams reported the error caused by this broken wire is now fixed. Re-assembling the 1406 extended memory unit. CONGRATULATIONS  !! Ron and Allen congratulating Bob. Does Bob look a little tired?? Added November 1, 2010 - factory repair of core stacks. A bottle opener is one tool we don't have !! Allen struggling with a wrong tool. I checked with Ron Williams and Frank King to make sure that I was on the straight and narrow. The "B" bit does not work from 8,000 to 15,999. The write inhibit and sense cards seem OK. It would be good to use a  current probe to verify circuits are working as expected. The "4" bit does not work from 12,000 up. He had never heard of field repair of 1401 core planes - send the stack back to the factory. He had tried to use factory authorized tools to fix a much larger (capacity and cores and wires) Large Capacity Storage. problem, send the memory back to Kingston, or send out a factory person to try. something you would not leave out on a work bench. PostPost script: - is there such?? 43.5 1401 Print Buffer Surgery. My failure was in the middle plane and I had to split the array apart, but I cheated. from when they were the latest technology? And hey, if you're going to have a party in June, don't forget to  invite me!